The grand Zunfthaus zur Saffran was built from 1719 to 1723 as a guild house in the Regency style and is centrally located across from the town hall. The historical building still impresses with an originally preserved façade and exclusive event rooms on three floors. 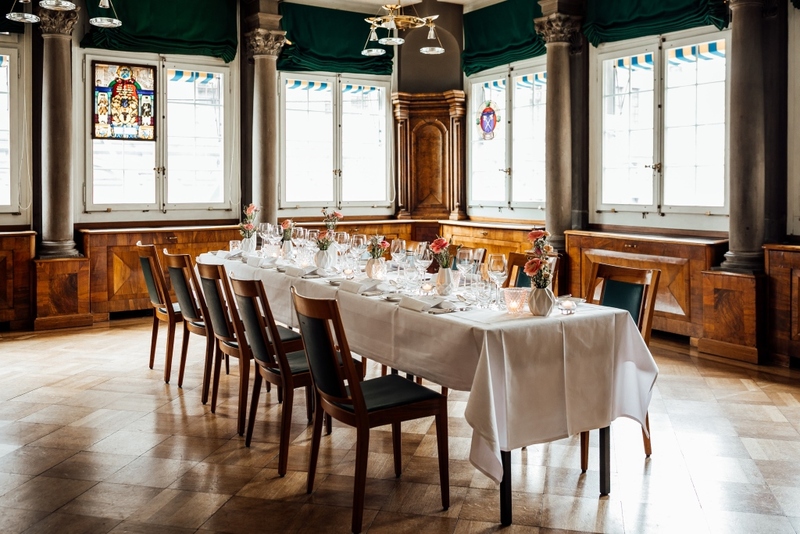 For almost 300 years the three halls and the Ratsstube have been used for private and business-related occasions so that probably no other venue in the city can claim to have that much of experience in the realization of events. 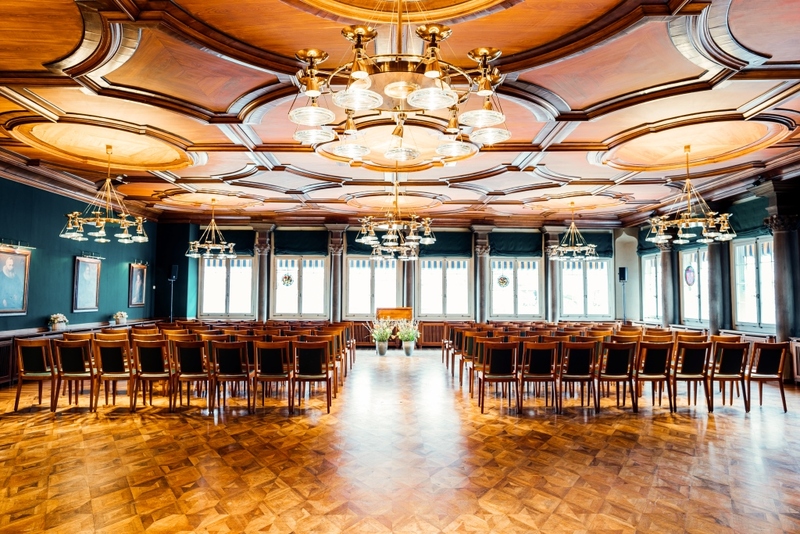 It is not surprising then that the Zunfthaus zur Saffran is a popular place for celebrations of all kinds with up to 250 guests. This magnificent venue offers a unique ambience, elegant interior, warm hospitality and finest cuisine. The latter was even awarded for its sustainability. Use these long-standing premises for your comfortable business-related gatherings or effective seminars and conferences. Choose one of the halls for your larger events or the elegant Ratstube which is ideally suited for small meetings, presentations or business dinners. 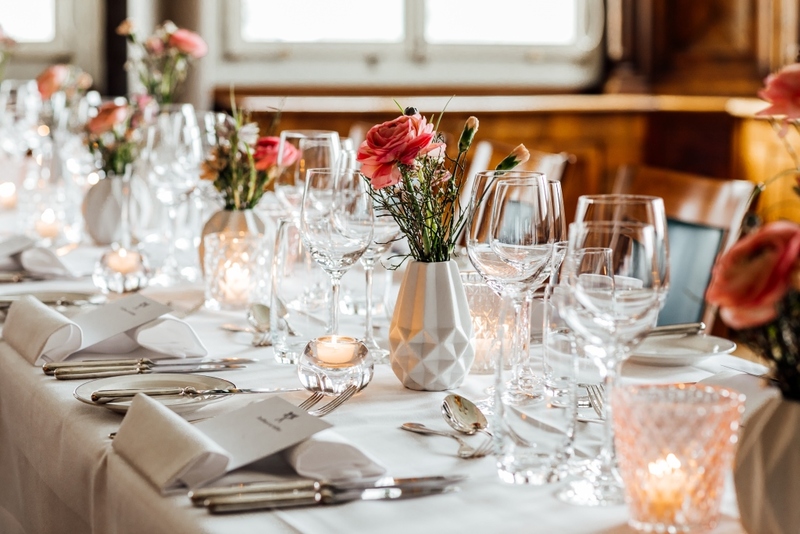 Due to its central situation in Zurich, the high-class catering on site and attractive meeting packages (for 20 people or more), the success of your business event is practically guaranteed. Of course the rooms will be seated according to your requirements and if necessary, you can have WLAN, technical equipment, beamer and screen, laptop, flipchart, seminar box and a speaker´s desk. 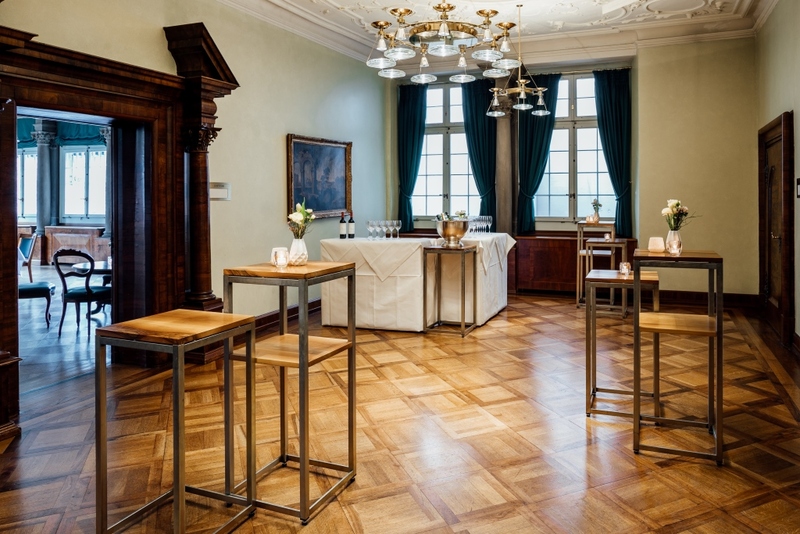 Splendid receptions and fabulous parties find the perfect setting in the Grosser Zunftsaal. 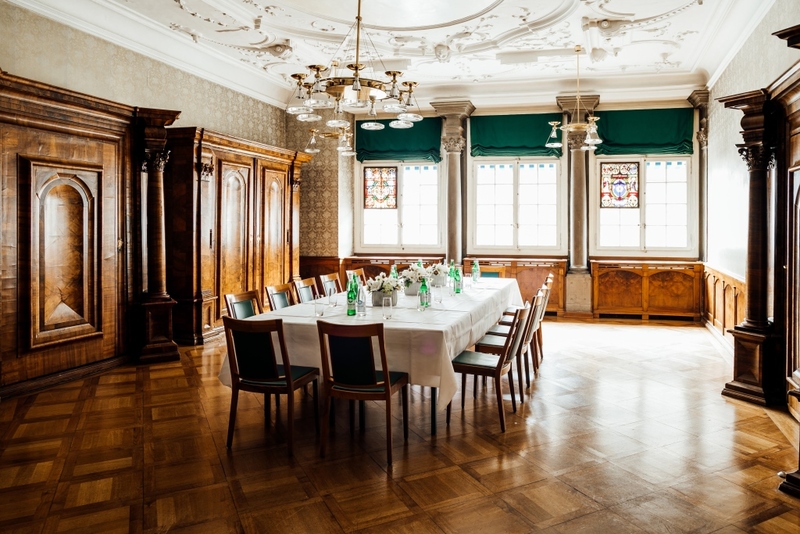 The largest of the halls (188 m2) is on the first floor and it impresses with its big windows that offer a view on the town hall and the river Limmat, as well as with its walnut ceiling in Rococo style. It has a banquet capacity for up to 200 guests. Smaller celebrations are ideally suited in the Kleine Zunftsaal (57 m2) that creates a warm atmosphere with its historic oven and wall tiling on the second floor. The Saal zur Weissen Rose with its 54 m2 is the smallest but not less charming room on the same floor. Both have a banquet capacity for up to 40 people. 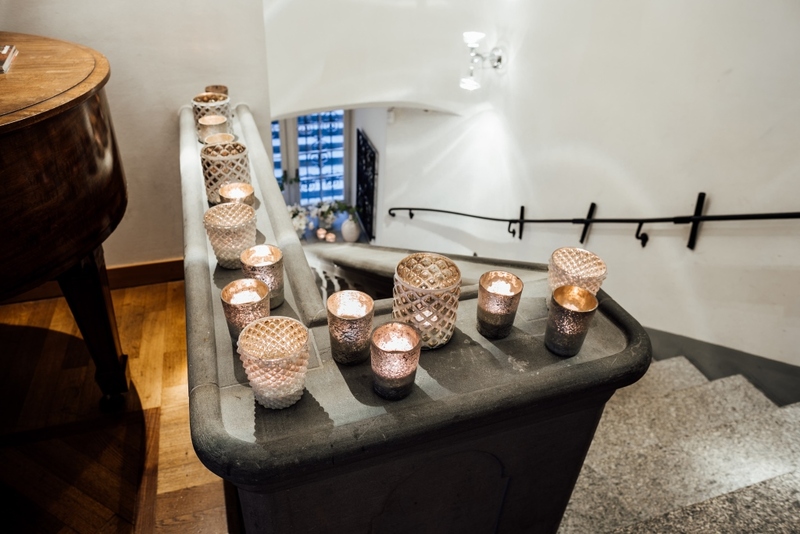 The hospitable team of the Zunfthaus zur Saffran gladly satisfies your individual wishes. We are looking forward to your inquiry and make you a customized offer for your event. Of course we may also organize the decoration and an entertainment program with music or artistry. 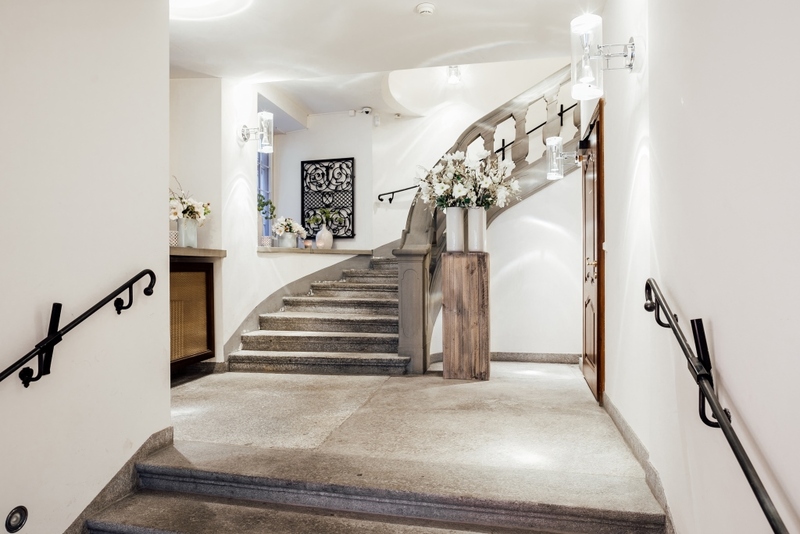 Your guests can easily reach the Zunfthaus zur Saffran with public transport. When you arrive by car then we recommend the nearby car parks Urania or Hohe Promenade.